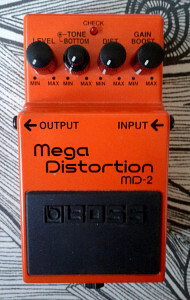 Boss MD-2 Mega Distortion, made in Taiwan in february 2009. Got the unit in very good condition for a fair price – without a box and papers, but still nice. Actually i got this on the same day as the Morley Crystal Chorus. So, of course, i hooked them both up for testing at the same time. Oh boy. Let’s return to that in a bit. 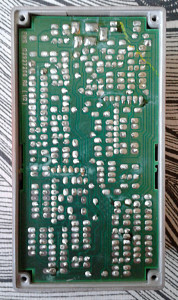 Modern looking traces on a filled board. This time, a space well used. The amount of gain the two SIP opamps and a handful of transistors deliver is respectable. 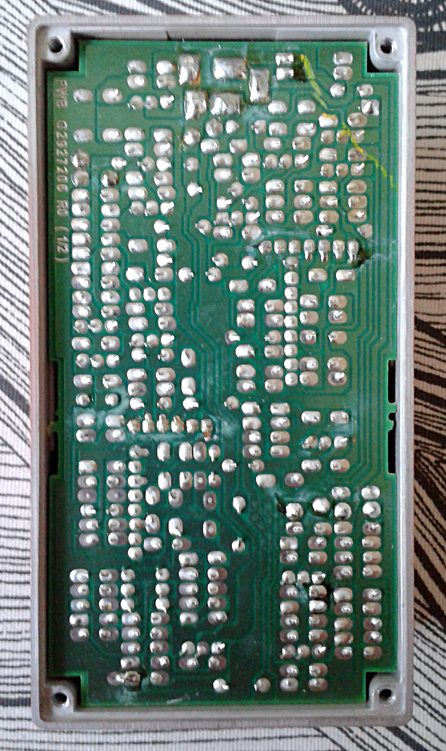 The design that has basically five stages amplifying and/or driving the signal, with no diode clippers and manages to keep the massive noise content away is quite respectable too. Aside the buffering and standard Boss electronic switching, there’s a discrete JFET opamp acting as first gain stage. This stage offers the Gain Boost control too. Which is followed two standard gain stages. After that there’s very peculiar looking differential stage, followed by active tone control leading to standard level control. Not simple in any way. 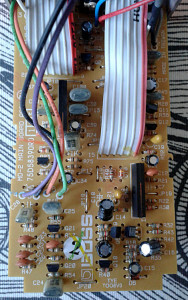 You can check the schematic out at FreeInfoSociety‘s page. Like a very pleasant surprise. I don’t think i’ve heard distortion as thick and saw waved before. Massive amount of gain with sufficiently low noise levels. The amount of sheer distortion is so high, that the sound is no more distorted in traditional sense. It reminds me a lot more of a tight and thick saw wave synth sound. And as i previously didn’t know where or when to use chorus effects to get something decent out of them.. This box solved it. Place a soft analog chorus in front of this one and be prepared for total angry synth mayhem. 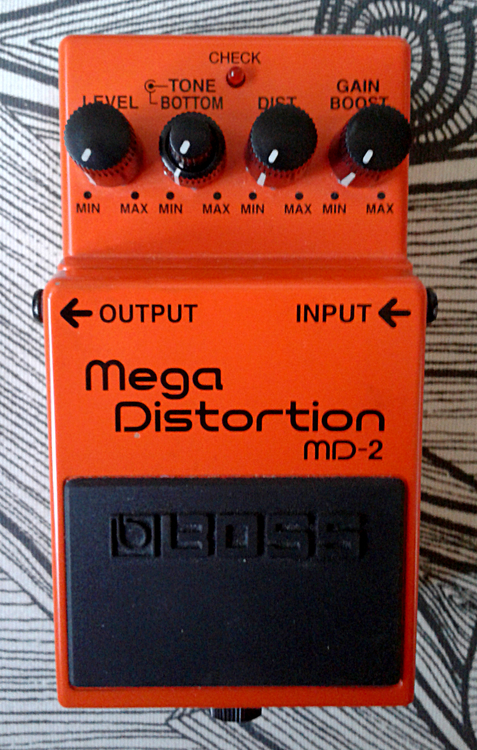 So far, this is the greatest distortion to me in all of Boss’ lineup. So. I’d sum this one up as so over the top distortion, that it isn’t one in the vast number of normal distortions. Quite nice to run into something like this instead of thousands of standard distortions. This entry was posted on Sunday, January 12th, 2014 at 10:35	and is filed under Boss, Compact Series. You can follow any responses to this entry through the RSS 2.0 feed. You can leave a response, or trackback from your own site. Can you post an image of the jacks for this? I messed with it for something else I had and cannot figure it out. Entries (RSS) and Comments (RSS). 25 queries in 0.127 seconds.